Lithuanian professional startups and beginners join the platform “Startups for Startups” in order to share the best practice and avoid mistakes made by other startups. “In order to develop successful startups, we have to share information and help each other understand the leading Lithuanian and global tendencies. We have many successful startups in Lithuania, and their founders have a great deal of valuable experience and knowledge. It is a valuable capital, which is necessary for beginners or less experienced startups,” says Roberta Rudokienė, Head of Enterprise Lithuania Startup Lithuania ecosystem promotion division. It is for this purpose that “Startups for Startups” – the first startup platform for knowledge and experience sharing, which operates in the Lithuanian startup knowledge-sharing platform “Tipi”, was created. “Together with the project partners we believe that the new platform will unlock more opportunities for startups and accelerate the development of our ecosystem,” claims Roberta Rudokienė. 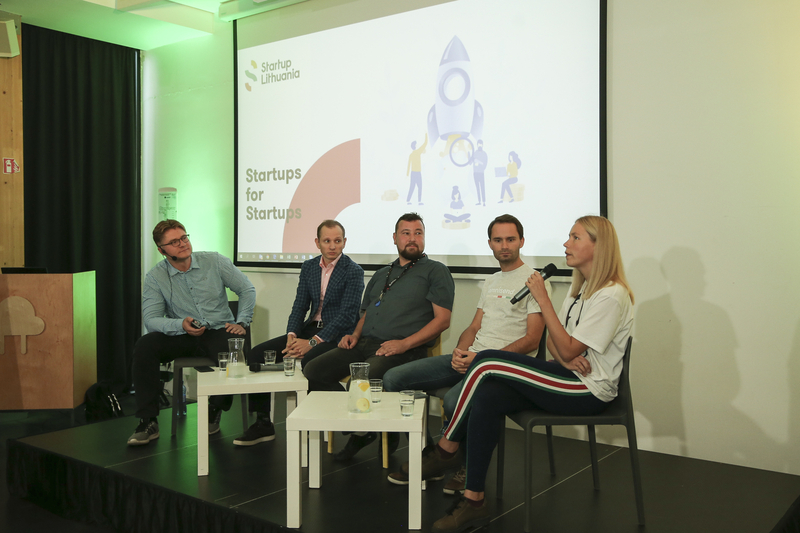 Aurėlija Urbonavičiūtė, one of the founders and the head of the startup “Tipi Hub”, claims that the whole Lithuanian startup ecosystem strives for constant knowledge and experience sharing, which cannot be fulfilled during random meetings at various events. Therefore, Enterprise Lithuania has launched a project dedicated for this purpose. “Every startup needs a suitable niche and creates a product designed to solve the problem known in that niche, therefore, competition between the local startups is a rather rare phenomenon in the country. Yet, the global competition is rather high, and the resources of startups are limited and limit startups’ survival and growth probability. These are the reasons why knowledge on how to attract investments, find suitable specialists and support in marketing and product development is extremely important. All of the above is related to the local market and the experience its participants have, therefore, communication between local startups is required, and this kind of communication requires a platform. We are excited to know that the Lithuanian knowledge-sharing platform “Tipi” was chosen for that purpose. If the startup community project proves efficient, in the future, we may expect startups, who are more determined, better financed and make fewer mistakes, and these startups will develop into successful companies,” claims Aurelija Urbonavičiūtė. According to Aurėlija Urbonavičiūtė, “Tipi” platform has been created for communication between growing organisations and communities, therefore, it perfectly suited the “Startups for Startups” project. “Tipi” offers a user-friendly interface providing all the tools and information necessary for communication of organisations and communities. After logging into the “Startups for Startups” account, all users will gain access to well-thought-out categories of topics through continuous discussions, useful links and experience sharing. All members will have contact information of each other as well as the possibility to communicate via private messages within “Tipi”. The platform has many valuable functions assuring efficient communication and eliminating information noise. It is expected that “Startups for Startups” will not only unlock knowledge sharing but also initiate actual communication between Lithuanian startups.